The discovery of novel m aterials that can be active, selective and stable catalysts for the efficient transformation of organic molecules to useful products is of high importance. In recent years, there has been significant interest in the utilisation of supported gold-based nanoparticles that can be effective catalysts for a broad range of chemical processes. In this paper, we describe and discuss the utilisation of gold-based nanoparticles as efficient catalysts for a range of important reactions, with particular emphasis placed on our team recent research. For a long period, gold was considered to be one of the least catalytically useful materials. Gold is unique among the metallic elements because of its resistance to oxidation and corrosion; its well-known history of usage in coinage and in jewellery perfectly illustrates this chemical nobility . However, this perception has changed dramatically over recent years, following the seminal discoveries of Bond, Hutchings and Haruta, who identified that finely divided gold particles were particularly active catalysts for the hydrogenation of olefins , the hydrochlorination of ethyne to vinyl chloride  and the low temperature oxidation of CO , respectively. From these studies, it was identified that when Au is present as very small particles, with a mean diameter below 10 nm, it becomes surprisingly catalytically active, especially at low temperatures. After these important discoveries, many research groups in academia and industry have focused their research upon exploring the catalytic performance of Au catalysts for a wide range of oxidation and hydrogenation reactions [5, 6]. New discoveries have been reported since that period, and novel, designed supported gold nanoparticles have shown to be extremely effective catalysts for the oxidation of CO [7, 8, 9, 10, 11], the selective oxidation of alcohols and polyols [12, 13], the epoxidation of olefins [14, 15], the hydrochlorination of ethyne , the selective hydrogenation of unsaturated carbonyl and nitro groups , and the direct synthesis of hydrogen peroxide from molecular hydrogen and oxygen . Whilst these monometallic Au nanoparticles have been shown to be effective redox catalysts, we have shown over the last decade that using bimetallic catalysts, such as Au–Pd catalysts, a significant improvement in terms of catalytic reactivity and stability for a range of reactions, such as the oxidation of alcohols  and hydrogen peroxide synthesis [20, 21, 22], could be observed. In this paper we review some of our recent work focusing on the synthesis of Au–Pd, Au–Pt and Au–Pd–Pt alloy and core–shell nanoparticles with colloidal methods, and their catalytic performance in a range of reactions, namely alkane activation (toluene and methane oxidation) and the oxidation of alcohols and polyols using molecular oxygen or hydrogen peroxide/tert-butyl hydroperoxide as green oxidants. These two reactions have a very broad interest and remain great challenges yet to be solved by the academic and industrial communities. In the case of alcohol and polyol oxidation, control of the selectivity to the desired product (aldehyde/ketone versus carboxylic acid or ester) is the key. Conversely, in the case of alkane oxidation the key challenge is to enhance activity at mild conditions, avoiding harsh reaction conditions and corrosive solvent systems, whilst concurrently controlling selectivity towards the desired product. This paper reviews some of the essential aspects of various bimetallic and trimetallic catalysts prepared using a colloidal method for these reactions. A variety of important industrial chemicals can be obtained by the selective oxidation of alcohols and polyols into the corresponding carbonylic or carboxylic derivatives through the use of heterogeneous catalysts [23, 24]. In our studies, we have primarily used benzyl alcohol and glycerol as model substrates for studying the catalytic performance of supported Au-based nanoparticles for alcohol/polyol oxidation. The methodologies for synthesising Au-based nanoparticles are primarily based on colloidal methods, and to a lesser extent impregnation methods. The advantages of colloidal methods rely on the fact that metal nanoparticles with a narrow particle size distribution and with a specific morphology can be synthesised. Nano-sized metal colloids are usually synthesised by an in situ reduction method from a suitable metal precursor, such as chemical reduction (with NaBH4 or alcohol), photoreduction, electrochemical reduction or thermal decomposition . Small molecular ligands, surfactants and polymers have been used to stabilise the so-formed metallic colloids. In some cases, metal colloids are stable over long periods even without coagulation in a solvent. However, for prolonged stability in a sol state, and for obtaining a uniform, controlled particle size, use of a stabilising ligand is essential. Typically, polymers such as polyvinyl alcohol and polyvinylpyrrolidone and various other surfactants have frequently been used. In the case of polymeric stabilisers, the typical stabilisation mechanism is based on steric stabilisation. However, electrostatic stabilisation is also possible through the utilisation of electrostatic stabilisers such as citrate. Our preferred method is based on steric stabilisation. The synthesis of colloidal metal nanoparticles typically requires (1) the use of inorganic metal precursors, such as HAuCl4, PdCl2 and H2PtCl6; (2) the use of H2O as solvent; (3) dilute aqueous solutions of polyvinyl alcohol (PVA) as stabiliser and NaBH4 as the reducing agent. For the synthesis of Au-based colloids, the first step involves the dissolution of the desired metal precursors in aqueous solution, followed by the addition of the desired amount of PVA. By adding NaBH4 as the reducing agent, the formation of a colloidal solution is subsequently achieved. The final step involves the immobilisation of the Au-based colloids onto the desired heterogeneous support, such as carbon, TiO2 or other metal oxide supports . The synthesis of alloyed or core–shell structures is possible by modifying the reduction step. In the case of forming alloy nanoparticles, a simultaneous reduction process should be followed, whereas in the case of core–shell structures a sequential reduction protocol is essential. The catalytic performance of supported Au–Pd nanoparticles with alloy and core–shell structures synthesised by colloidal methods was carried out for the aerobic oxidation of benzyl alcohol. High catalytic efficiency of Au–Pd catalysts was demonstrated with very high TOFs (turnover frequencies) (40,000 h−1) at mild reaction conditions (120 °C, PO2 = 10 bar) when random Au–Pd alloy nanoparticles were used (Table 1) [26, 27]. Extensive STEM-XDS and XPS studies were performed to characterise the synthesised materials. These studies showed the presence of random homogeneous alloys with metallic oxidation state for Au and the majority of Pd also present in metallic state. Higher activity of the supported Au–Pd catalysts synthesised by the colloidal method instead of the impregnation method was observed, and it was mainly attributed to the significantly smaller average particle size, the narrower particle size distribution and the metallic oxidation state. In subsequent studies we investigated the catalytic performance of supported Au–Pd nanoparticles with alloy and core–shell structures. As we described above, for the synthesis of supported bimetallic Au–Pd catalysts with core–shell structures, the preparation strategy was based on the sequential addition and reduction of each metal. The bimetallic sols were subsequently deposited onto the chosen supports, carbon and titania. STEM-HAADF studies were performed to study the morphology of the synthesised colloids, and the formation of both alloyed and core–shell structures was shown (Fig. 1) . It was found that the catalytic activity for the aerobic oxidation of benzyl alcohol could be carried out at mild conditions (120 °C, PO2 = 10 bar), and the order of metal addition has a marked effect on activity as well as selectivity (Table 1). The choice of support (carbon versus titania) was also shown to significantly affect both catalytic activity and the distribution of products (selectivity), with carbon-supported materials exhibiting both an increase of activity by a factor of 2, and a lower selectivity to benzaldehyde at iso-conversion compared to the analogous TiO2-supported catalysts (Table 2). Mechanistic studies were performed for the oxidation of benzyl alcohol using an Au–Pd alloy catalyst synthesised by colloidal method, and it was found that in the absence of oxygen benzyl alcohol was transformed into benzaldehyde and toluene at initial equal rates . The introduction of oxygen significantly increased the rate of benzyl alcohol consumption and benzaldehyde production at the expense of toluene formation. It was found that at low partial pressures (below 3 bar of oxygen), the catalytic rate was dependent on oxygen, suggesting that oxygen can participate in the reaction pathway as an adsorbed species, whereas above 3 bar of oxygen the reaction is zero order in oxygen. The formation of benzaldehyde was found to be dependent upon the concentration of oxygen at the surface. Despite the fact that the high catalytic efficiency of supported Au–Pd nanoparticles synthesised by colloidal method is evident, the challenge of achieving high selectivity to benzaldehyde remained still an issue. For tackling this challenge, either a low reaction temperature approach was chosen—resulting in a low turnover frequency (TOF)—or the conversion was kept at low levels (below 30 %). Another approach included the addition of a small amount of a third metal, such as Pt, and the utilisation of supported trimetallic Au–Pd-Pt nanoparticles . Using a simultaneous reduction method for the synthesis of preformed Au–Pd-Pt colloids, and by varying Au–Pd-Pt atomic ratios the catalytic performance of the synthesised supported Au–Pd-Pt nanoparticles was investigated. Variation of Au–Pd-Pt atomic ratios led to marked improvements in benzaldehyde selectivity (95 %) and significantly decreased the formation of toluene as by-product, whilst maintaining a high level of benzyl alcohol conversion (Table 3). STEM-HAADF-XEDS studies showed that the mean particle size was around 2–3 nm, and homogeneous trimetallic alloys were obtained (Fig. 2). However, depending on the size of the individual nanoparticles a clear size-dependent composition variation was found, with the smaller (<2 nm) particles found to be Pd-deficient, and particles larger than 10 nm observed to be Pd rich (Fig. 3). The beneficial effect of adding Pt atoms seems to be related to the role of Pt as electronic (Au and Pt have higher electronegativity than Pd, therefore can be accepted of electrons from Pd) or strain modifier to the Au–Pd nanoparticles, which reduces the capability of the Pd sites to be active for disproportionation reactions and therefore improving the selectivity to benzaldehyde. Therefore, the challenge of synthesising Au–Pd-Pt nanoparticles with a controlled-size metal composition still remains. aReaction conditions: benzyl alcohol, 0.05 g of catalyst, T = 120 °C, pO2 = 150 psi, stirring rate 1,500 rpm. Another organic compound that has recently attracted significant research interest is glycerol. The main reason is the following: glycerol, as a by-product from biodiesel production, is highly abundant and is readily available. As a waste material, its disposal via chemical fixation is highly favourable, and a large number of products can indeed be obtained from its chemical transformation. Nevertheless, whilst its high functionality leads to a number of potential products, particularly through oxidation, its high functionality demands exceptional control over reaction selectivity, and targeted selectivity to the desired products remains a significant challenge . In previous studies, we have shown the efficient oxidative transformation of glycerol under alkaline conditions using supported Au–Pd nanoparticles prepared by colloidal and impregnation methods . A key challenge in the case of upgrading glycerol is the avoidance of alkaline conditions (without the use of NaOH as base), where the desired product will be the free carboxylic acid instead of the salt of acid. In our studies, Au–Pt nanoparticles were synthesised at various Au–Pt atomic ratios, and were subsequently immobilised on MgO . By performing the aerobic oxidation of glycerol at mild conditions (3 bar of O2, 40–60 °C) and without base, the efficient transformation of glycerol to glyceric acid was achieved at a selectivity of 80 % and conversion levels of 43 % (Fig. 4). Moreover, the general applicability of the novel Au–Pt/MgO catalysts was demonstrated by the efficient oxidation of ethylene and propylene diols. 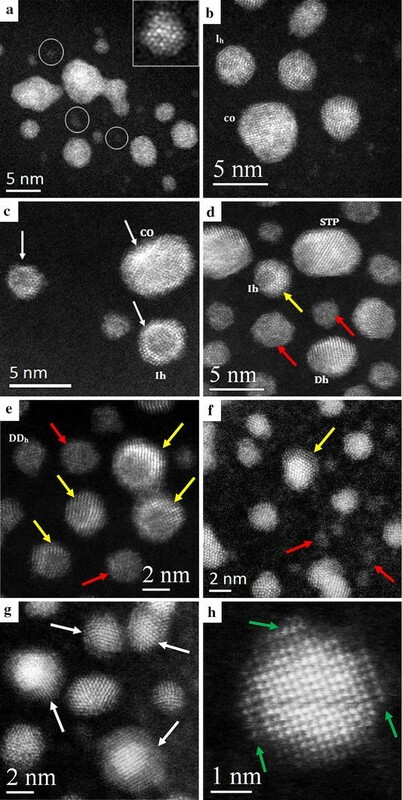 Extensive STEM-XEDS studies showed that the individual metal nanoparticles in the Au–Pt/MgO samples contain both Au and Pt metals, indicating the presence of Au–Pt alloy nanoparticles (Fig. 5). STEM-HAADF analysis showed that the majority of Au–Pt particles exhibited a cuboctahedral structure, exposing a mixture of  and  facets. The selective oxidation of hydrocarbons to useful chemical products is one of the greatest challenges in academia and industry. However, given their low reactivity and high levels of stability, the activation of typically inert C–H bonds often requires high reaction temperature, resulting in poor selectivity to the desired oxygenated organic products. Utilisation of catalysts that can lower the reaction temperature required for alkane activation, and thereby performing the catalytic transformation of hydrocarbons efficiently at lower temperatures, could result in an improved selectivity to oxygenated products. 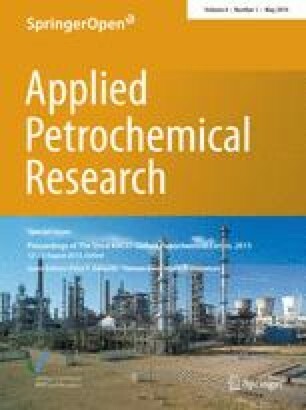 Taking into account that Au–Pd supported nanoparticles synthesised by colloidal methods showed high catalytic efficiency for the oxidation of alcohols, polyols and hydrogen peroxide synthesis, we investigated the catalytic performance of these materials for the oxidation of toluene and methane at mild conditions. In the case of toluene, the efficient transformation of toluene to benzyl benzoate (90–95 % selectivity) was achieved at mild conditions (120–160 °C, 10 bar of O2) using molecular oxygen or tert-butyl hydroperoxide as oxidant (Fig. 6) . Mechanistic studies revealed that the oxidation proceeds via the initial formation of benzyl alcohol, which is rapidly oxidised to benzaldehyde. The formation of the analogous hemiacetal is followed by oxidation to the ester (Fig. 7). In subsequent studies, the effect of the oxidant was studied, and instead of molecular oxygen, tert-butyl hydroperoxide (TBHP) was used as the principal oxygen donor. High conversion of toluene at mild conditions (80 °C, atmospheric pressure) was achieved with benzoic acid being the major product (Fig. 8) . Mechanistic studies were performed in order to elucidate the reaction mechanism, and especially the role of TBHP, and it was found for the first time that surface-bound oxygen-centred radicals play a role in activating toluene, as demonstrated by EPR studies. The direct conversion of methane to methanol at mild conditions is one of the most important challenges that academia and industry face. Taking into account from previous studies that H2O2 or tert-butyl hydroperoxide has been used efficiently to oxidise methane, we thought that a hydroperoxide intermediate may be effective for the oxidation of methane. Therefore, the catalytic performance of supported Au–Pd nanoparticles for the liquid-phase oxidation of methane was carried out using either H2O2, or in situ generated H2O2 from H2 and O2 as oxidant . Using supported Au–Pd nanoparticles synthesised by the impregnation method, high selectivity to oxygenated products (90 % including methyl hydroperoxide) and moderate selectivity to methanol (50 %) at mild reaction conditions (50 °C) were achieved. The efficient oxidation of methane to methanol was possible even at 2 °C, with an oxygenate selectivity of 93 % found at these sub-ambient temperatures. Isotopic labelling studies were performed and confirmed that in the presence of the catalyst, all of the observed products were derived from methane (Fig. 9). EPR studies were also performed to investigate the nature of radical species that may produce during reaction. It was shown that both ·CH3 and ·OH radicals were formed during reaction, and that the methane oxidation mechanism for supported metal nanoparticles involves ·CH3 radical that can react either with surface-bound ·OOH to form CH3OO·, and eventually CH3OH and/or H2CO, or with ·OH to produce CH3OH directly. At this stage, we believe that the major reaction pathway is the one via surface-bound ·OOH due to the observation of methyl hydroperoxide as the primary reaction product. Using the in situ generated H2O2 approach, a similar catalytic productivity was observed but with much higher methanol selectivity (70–80 %). Supported bimetallic (Au–Pd, Au–Pt) and trimetallic (Au–Pd–Pt) nanoparticles are very effective catalysts for the “clean” and efficient oxidation of organic compounds (alcohols, polyols and alkanes) with molecular oxygen, hydrogen peroxide or alkyl hydroperoxides as “green” oxidants. A closer examination of the bimetallic/trimetallic catalysts reveals that it is important not only to control the particle size, but also to focus on the synthesis of structures consisting of an alloy or a core–shell structure, since electronic and geometric properties are affected in this manner. In the majority of the investigated reactions, it is generally accepted that the synthesis of nanoparticles of small particle size (2–6 nm) seems to be key for obtaining high catalytic activity. However, the particle size, shape and final morphology have all been shown to affect each oxidation process in a different way. In the future, control of the desired structure will play a major role in the development of new and more efficient catalysts, especially for industrial applications. Therefore, the main challenges that researchers will face in the near future are: (1) understanding the formation and the role of active sites, (2) developing more efficient, cheaper nanoparticles, particularly at lower metal loading, with prolonged catalytic life time, (3) scaling up nanoparticle synthesis, and (4) expanding the utilisation of Au-based and bimetallic-based catalysts in a larger variety of organic reactions. Finally, it is evident that the area of gold catalysis still remains an area of intense research, and is therefore a promising and growing area, with new materials and new reactions being regularly discovered and explored.